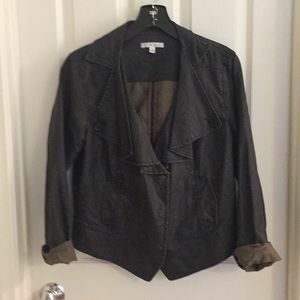 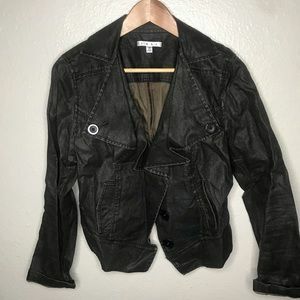 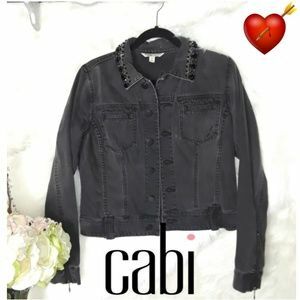 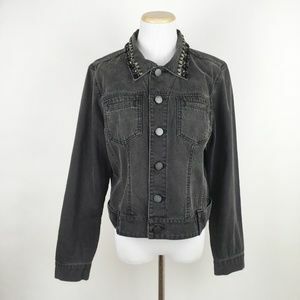 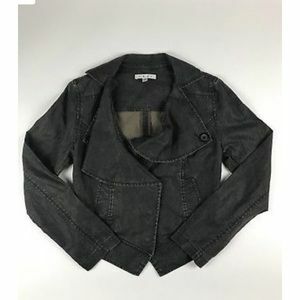 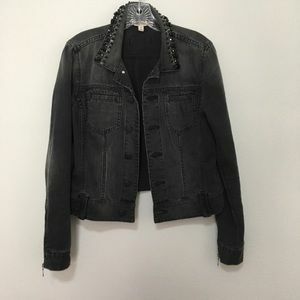 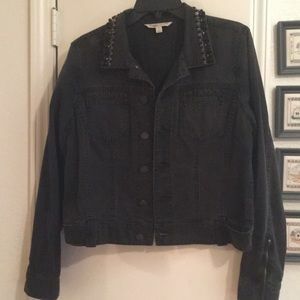 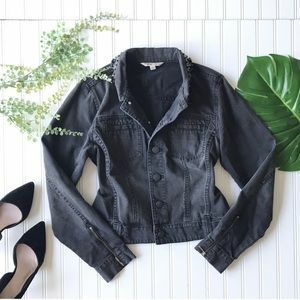 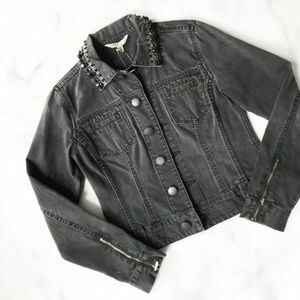 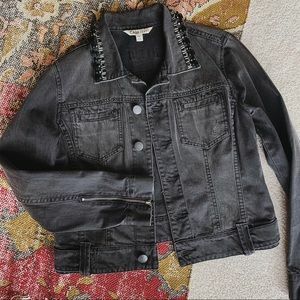 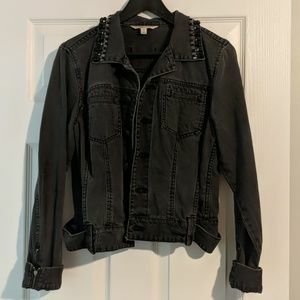 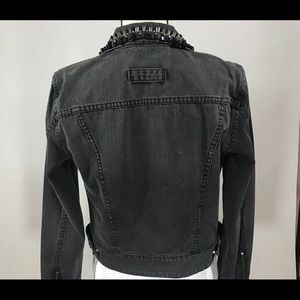 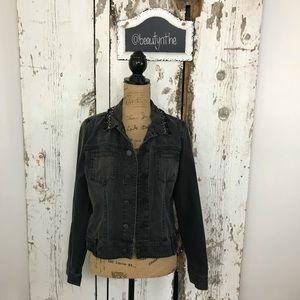 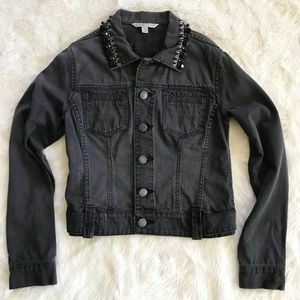 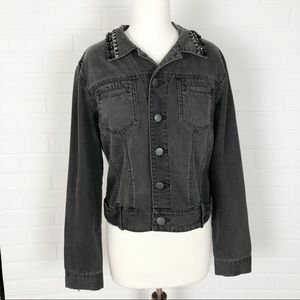 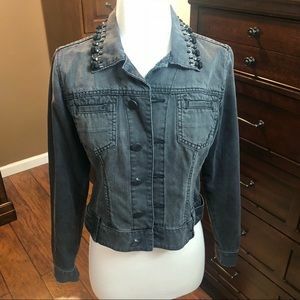 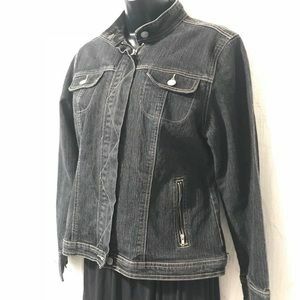 CAbi waxed Linen jean jacket. 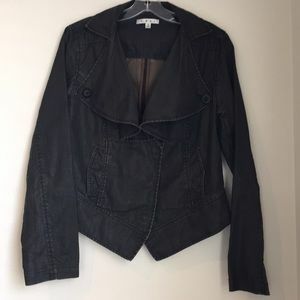 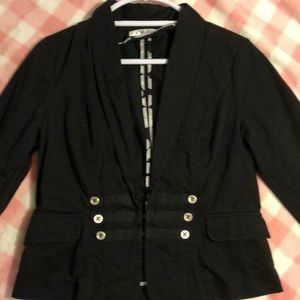 CAbi Abstract checkered b&w pink "Jean" jacket! 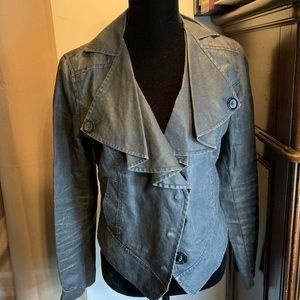 Excellent condition Linen Jacket. 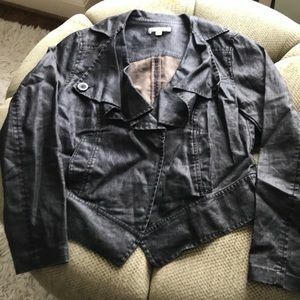 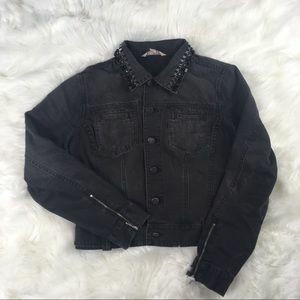 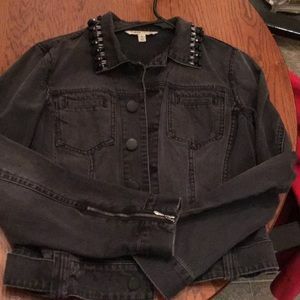 Cabo size Small.